People use sugar alternatives for a number of reasons, and no matter what that reason is, Splenda might be a great choice for you. 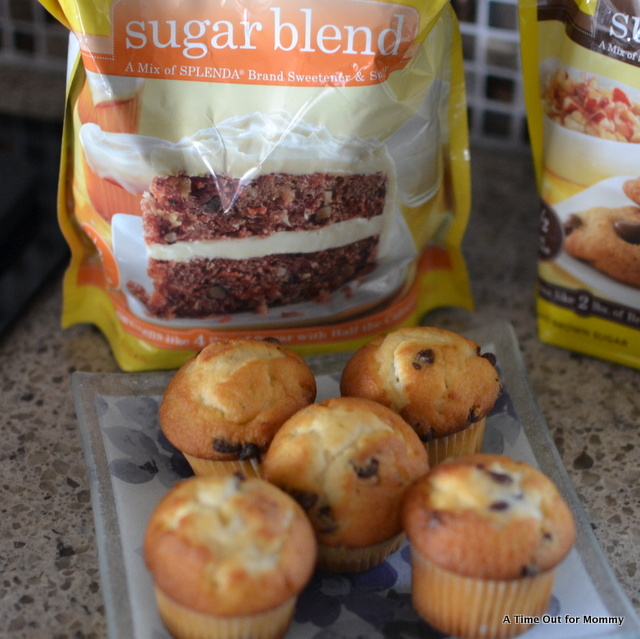 I’ve been using Splenda for years as a sugar substitute in my tea and coffee, and when they came out with bigger bags of Splenda for baking I started using it in my baking too! 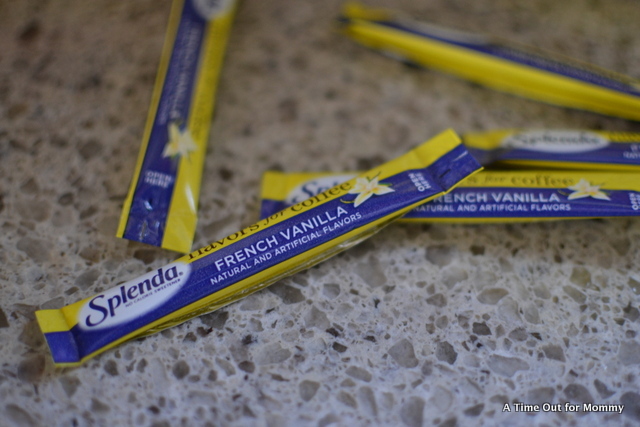 My favorite variety of Splenda is the French Vanilla packets that I can easily add to my chai tea latte – the smoothness of the vanilla along with the perfect sweetness is enough to give me the time out I need when enjoying my tea. Combine dry ingredients in a large bowl. In a separate bowl, cream Splenda and butter until fluffy. Add egg, milk and vanilla and mix. Add dry ingredients to creamed mix. Gently fold in chocolate chips. Fill mini muffin tins 2/3. Bake at 375º for 10-13 minutes or until toothpick comes out clean. You can use Splenda as a sugar substitute in your favorite recipes, or head over to SweetSwaps to find something that entices your tastebuds! There is a Twitter party on Tuesday March 31, 2015 at 1pm. Just follow the conversation on Twitter with hashtag #SweetSwaps, there are 5 prizes to win! Each prize includes a $50 Visa gift card, an assortment of SPLENDA® Sweetener Products and a SPLENDA® branded apron and bag. 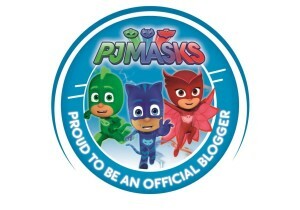 Prizes limited to U.S. participants only. Official rules here. This is a great idea to use Splenda in place of sugar. I will have to try this. I’ll have to give Splenda a try! These muffins look delicious! 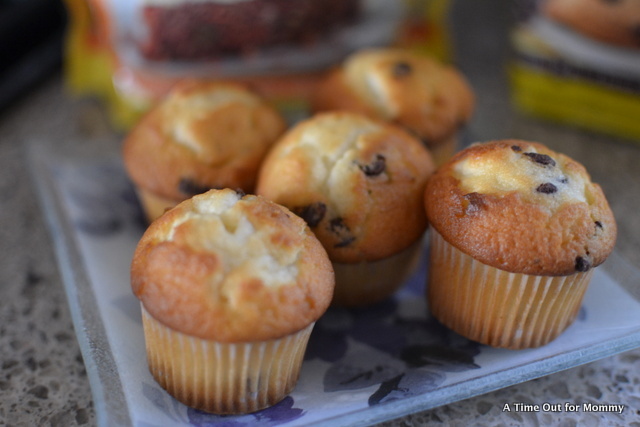 I love chocolate chip muffins, great with your coffee! I have never tried swapping my sugar for splenda though, I bet you can’t tell the difference when using half the amount though. Great recipe. We love muffins and these look so delicious. I have never baked with Splenda beefier but will have to try it out. Those muffins look great! My husband always uses Splenda in his coffee.